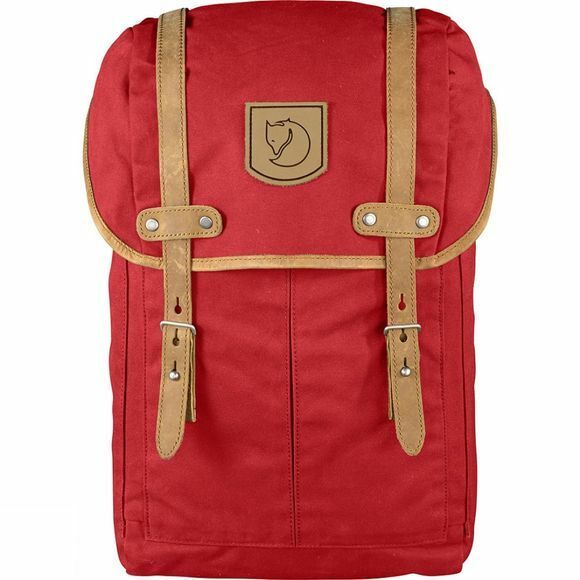 Large backpack in classic Fjällräven style, made from a more durable version of their waxed G-1000 fabric. Perfect for both everyday use in town or time spent in the forest. The clean lines and functional details in natural tone leather mean that it meets all of the requirements to become a favourite for many years to come. 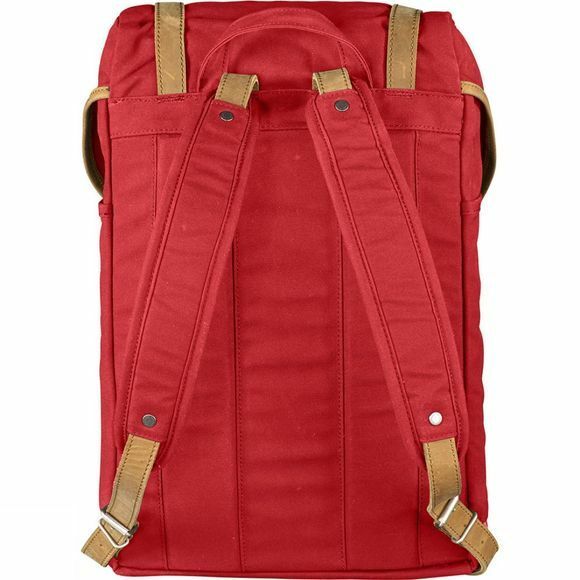 The main compartment is loaded from the top, comes equipped with a snow lock and has an inner pocket with a padded bottom to hold a laptop. It also has a removable seat pad and a pocket that holds a thermos in an upright position, and the light-coloured lining makes it easier to see the contents. The top lid is held in place by straps that attach to metal nubs on the front.